Dr Dutta completed her MBBS from the Bangalore University in the year 2000. 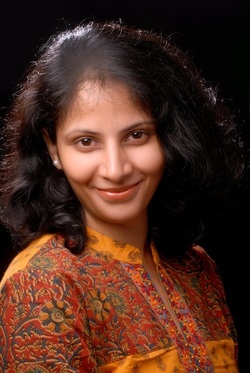 She then did her MD in Microbiology from the Armed Forces Medical College (AFMC) Pune in 2005. In 2010 she obtained certification in infectious diseases from the Hinduja Hospital and the Henry Ford Foundation Detroit USA. In a career spanning 15 years she has worked with The Manipal Hospital Bangalore, The Tata Motors Hospital Jamshedpur, The Armed Forces Medical College Pune and the Ex-servicemen’s Contributory Health Scheme of the Armed Forces. As Parenting Expert Dr Dutta conducts workshops for parents at prestigious schools and corporate organisations across Bangalore. Dr Dutta is associated with several social welfare initiatives. The AFWWA (Air Force Wives Welfare Association), the Pulse Polio eradication campaign and the Rajkumari Foundation (an organisation committed to delivering maternal health care to resource poor logistically challenged areas) are some of the initiatives she supports and works for..